Stress has been piling up in my house of late. College application deadlines. New braces. Another (brief) parking lot accident. And add to that every major road leading out of my town is currently under construction. Yes, massive stress bubbling under the surface. It’s the kind of pressure that leads to hypervigilance. Deadlines do this to me, especially life-course-determining ones. Anxiety used to be my roommate. I kicked her out a while ago and changed the locks, but once in a while she slips in through an unlocked back door. That girl knows no boundaries, I tell ya! In the middle of one of those days, I took my son and husband to the airport for college visits (landing in rush hour traffic both to and from Boston) and made it home in time to get my daughter to dance, throw a nicer shirt on, and attempt to manage back-to-school night at the high school jumping between the schedules of a freshman and a senior on a massive campus. It felt like an episode of a teen sitcom as I rushed around trying to slide into each class before the bell rang. I was having the most peaceful, productive, encouraging day. 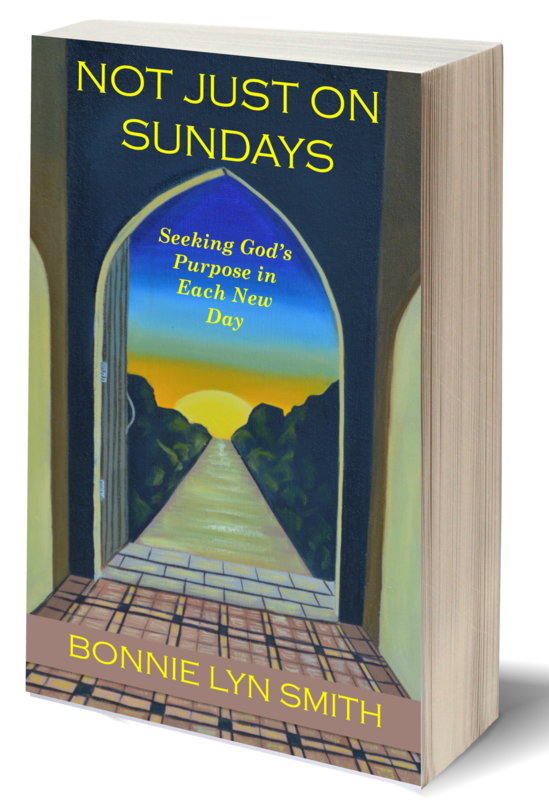 I had just finished up a videoconference with a professional collaborating with me for a special needs inclusion ministry we were trying to build within our church. After an hour and a half of bouncing ideas around with an expert I greatly admire in the field, I drew in a deep breath, composed an email to the ministry leaders at my church, and made my lunch. I was jazzed. Passions of mine were not only being picked back up again, but they were riding the surf into deeper waters. This is the stuff I live for! I was being equipped to do it better. That was invigorating! Then in came Kids One and Two. Phew, no teen angst. Happy days. They shared a few thoughts and even made me laugh. A complaint or two was offered about it being Thursday and the snacks were running out (wonder how that happens?). Everyone moved on to showers, dressing for karate and dance, and homework. If you interact with any teenagers, you know that you have to prepare yourself for anything coming at you. Kids-metamorphosing-into-adults are a complex breed. I love them but never know which persona will walk through the door. Ah. Another few moments to ponder the peace. 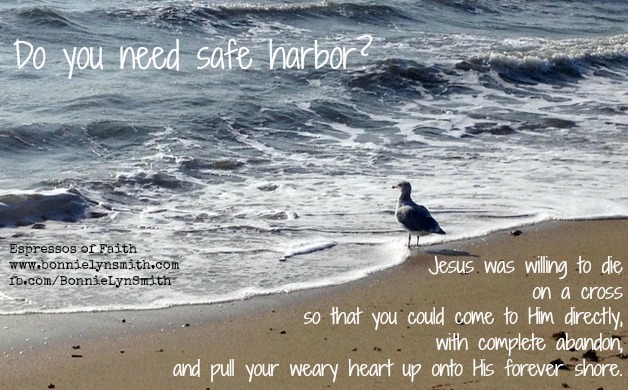 Does Your Weary Heart Need to Find Safe Harbor? This past week, I came crashing into Thursday morning. Ever have one of those days/weeks/years? We’d experienced a few days of inflexibility, stress, and angst. There were a lot of extra appointments and assessments going on for one of my children, and the red flag of “I’ve had enough, Mom!” was going up. And it’s not that I didn’t see it. It’s that I didn’t want to. It was inconvenient. I was tired of setting things down for it. I was weary of red flags popping up everywhere, even though they are God-given safety measures I am truly thankful for most days. As it turns out, when I failed to step up to the plate, my child knew what he needed without me.